The Calvary have Charged fellow FDC Youth with a “Terrorism Charge” because he delivered Food to detained FDC Activist in Rukungiri! Dickson Nampumuza; the Rukungiri District FDC youth activist has been “Charged with Terrorism”. He was arrested while taking food to other FDC youths who are in detention at Rukungiri Police Post! This is what the Uganda Police Force and the Magistrate Court’s do right now. Take innocent civilians and make them criminals. Just as I have written before. The ones that defy the government now is a criminal and will be courtside. Even for offences that doesn’t exisist. Just like this one. 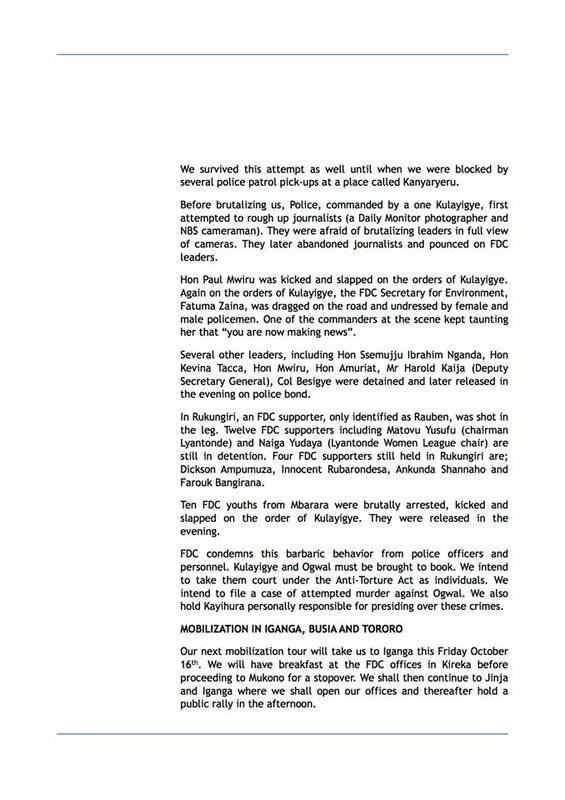 This proves the value of the NRM Regime for the moment and the value of justice in the country. Nothing seem to far fetched as the Police and the other Security Organizations can do as they please, while fellow citizens are prosecuted for taking care of each other. National Resistance Movement is not legitimate when they make a man who delivers food to fellow citizens a criminal. Peace. Nakasero, Kampala, 14th March 2016 – The blue Friday team greets you ladies and gentlemen.We appreciate your efforts and resolve to withstand the challenges and difficult times we are facing as a nation. The year 2016 started with excitement,hope and promise but at the same time it has brought misery onto us.The month of February in particular was a turning point in the history of our country.Witnessing the unthinkable imposed onto us by men and women of the electoral commision who conspired with security agencies to deprive us of our constitutional civil rights. 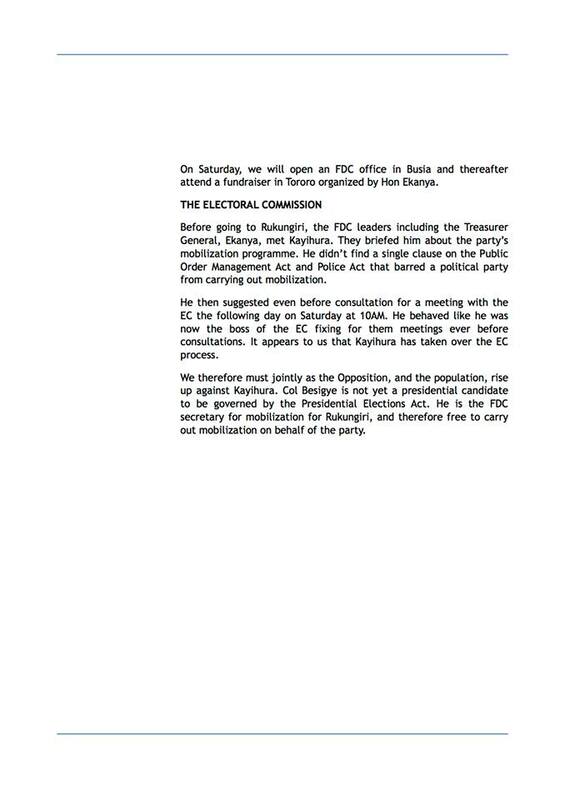 Having known the choice we Ugandans had made to overwhelmingly vote for FDC’s Presidential candidate Dr.Kizza Besigye,the electoral commision decided to alter the results as they wished! Dr.Sulaiman Kiggundu with assistance of the Uganda Police Force deliberately refused to declare Dr.Kizza Besigye as the winner of the Presidential elections exercise which he won but instead chose to announce the loser as the winner!!! 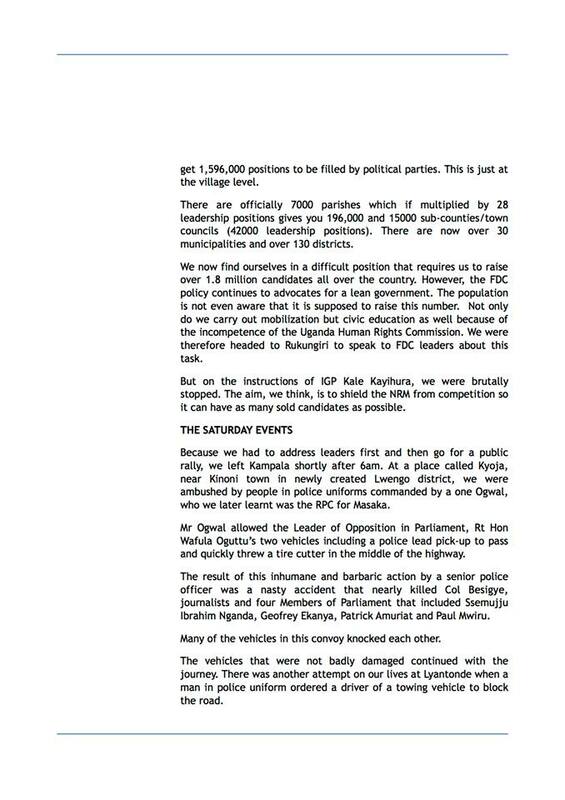 That was not only unconstitutional but also criminal.We can sum it up as an “election coup of Namboole”. Therefore,we must protest on one hand the election coup of Namboole and on the other hand the deliberate violation of Dr.Kizza Besigye’s individual rights through an illegal detention at his home. 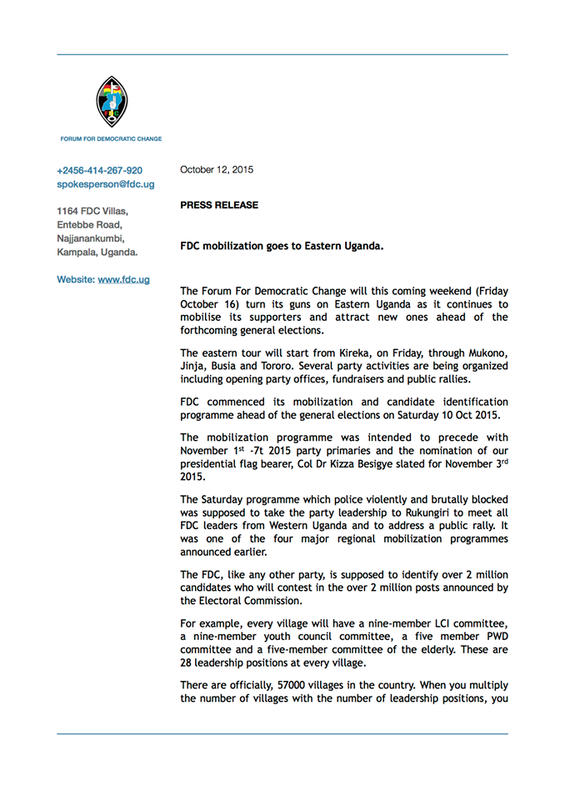 A campaign known as Blue Friday has been agreed upon as one among many other non violent campaigns to reclaim the people’s victory and reinstate Dr.Kizza Besigye as the dully elected president of Uganda.Blue Friday is a movement composed of Ugandans who recognise Dr.Kizza Besigye as the President elect of the republic of Uganda. Any other person who claims to the Presidency by proclamation or declaration is an imposter. For that matter,we call upon all peace loving Ugandans who recognise Dr.Kizza Besigye as the President elect of this country to wear blue every Friday in solidality with their President.This is constitutionally right.We do so because we believe that we can reclaim our victory without necessarily using violent means like Mr.Yoweri Museveni did in 1981 when he lost elections to DP and UPC.This non violent campaign is simply to denounce Mr.Museveni’s plans of fraudelently imposing him self onto Ugandans yet he is Dr.Kiggundu’s choice rather not a choice of Ugandans. We also wish to make more fundemental demands as the Presidency of Mr.Yoweri Museveni comes to an end. 1. We urge the International community to recognise Dr.Kizza Besigye as the dully President elect of the republic of Uganda and should denounce Mr.Museveni who was illegally declared by Mr.Kiggundu’s electoral commission. 2.We demand for an independent audit assisted by eminent persons and delegated political party officials to audit the Feb/18th/2016 Presidential elections. 3.We request that the International community puts sanctions on Mr.Yoweri Museveni and some officials of his government,a travel ban should be considered among others. In conclusion ,we request that Dr.Kizza Besigye establishes a government of the people of Uganda and such a governent must start re~organising this country.